Professor Emeritus France Meier died Feb. 17, 2015 in Arlington. He was 86. Dr. Meier joined the UTA Department of Industrial, Manufacturing, and Systems Engineering as an assistant professor in 1965 and became a full professor in 1969. He served as the department chair from 1969-74 and retired in 2000. Under his leadership, the department developed graduate programs and awarded its first master’s and Ph.D. degrees. In 1984 he received the Distinguished Service Award from the American Institute of Industrial Engineers. Professor Emeritus Thomas Porter died Feb. 13, 2015 in Arlington. He was 87. 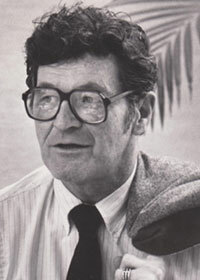 Dr. Porter was dean of the UTA College of Liberal Arts from 1978-93. He was also an English professor, teaching courses in Shakespeare, English and American literature, film, drama, religious studies, and Latin. Before coming to UTA, he served in the priesthood and was dean of arts and sciences at the University of Detroit. He wrote two books and numerous scholarly articles. After retiring in 2004, he received the title of professor emeritus and volunteered as an English teacher at St. Ignatius College Prep School in Chicago. Lloyd Clayton Clark Jr. (’42 AA, Journalism), 91, Nov. 17, 2014 in Paradise Valley, Ariz. Mr. Clark was a reporter for The Dallas Morning News and a reporter and editor for the Phoenix Gazette. He later worked for the northern Arizona and southeastern Arizona councils of government and the Arizona Department of Transportation. While at North Texas Agricultural College (now UTA), he was editor of The Shorthorn and ROTC battalion commander. He was inducted into the UTA Military Hall of Honor in 1998. Nancy Patterson Kirchhof (’46 AA, Liberal Arts), 87, June 7, 2014 in Canton, Ga. Ms. Kirchhof was a homemaker, raising two children. She had three grandchildren and a great-granddaughter. William Lee Hughes Jr. (’50 AA, Liberal Arts), 83, March 9 in Arlington. Judge Hughes was an attorney with Cantey Hanger LLP. He was appointed judge of the 48th District Court in Tarrant County, serving for 10 years before retiring. He was named a UTA Distinguished Alumnus in 1990. 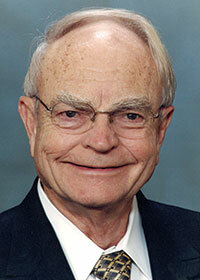 Calvin Edward Foster (’63 BA, Economics), 81, Feb. 19 in Arlington. Mr. Foster was an industrial engineer at General Motors for 36 years. He was a founder of the Arlington Softball Association. Dana Jo Hale (’68 BBA, Business Administration), 68, March 17 in Arlington. Ms. Hale worked for Airborne/DHL for 33 years. She was an original member of UTA’s Zeta Tau Alpha sorority. David Russell Baker (’70 BS, Mechanical Engineering; ’73 BBA, Business Administration), 76, Jan. 30 in Quitman. Mr. Baker retired as a project engineer after 38 years at Bell Helicopter. Emory Thomas Fletcher Jr. (’72 BBA, Management), 76, Oct. 25, 2014 in Arlington. Mr. Fletcher retired as executive vice president and treasurer after 41 years with Martin Sprocket & Gear in Arlington. Jane P. Harlow (’73 BA, ’77 MA, French), 88, Oct. 30, 2014 in Fort Worth. Ms. Harlow taught French for 32 years at White Lake Private School, The Oakridge School, Tarrant County College, and UT Arlington. She was a lecturer in French in the UTA Department of Modern Languages from 1995-2006. Roy Leonard Anderson Jr. (’76 BBA, Business Administration), 67, March 18 in Arlington. Mr. Anderson retired as director of corporate purchasing after a 36-year career at Alcon Laboratories in Fort Worth. He was a member of Phi Delta Theta fraternity at UTA. William C. Holbert Jr. (’77 BS, Criminal Justice), 60, Nov. 18, 2014 in Cleburne. Mr. Holbert was an auto theft detective with the Fort Worth Police Department, retiring in 2012 after 31 years of service. Susan Largent (’79 BFA, Art; ’80 MA, English), 58, March 30 in Fort Worth. Ms. Largent taught in the Arlington Independent School District for 29 years. Carol Schlesinger (’79 BA, Speech), 58, April 5 in Arlington. Ms. Schlesinger taught Spanish for 28 years in the Arlington Independent School District. Betsey Rardin Bark (’80 BA, English), 76, Nov. 15 in Burleson. Ms. Bark was a teacher at St. Maria Goretti Catholic School in Arlington and Nolan Catholic High School in Fort Worth. David Stewart Thornton (’80 BBA, Finance), 60, Nov. 29, 2014 in Bedford. Mr. Thornton retired from the federal government after 30 years of service, including 28 with the Internal Revenue Service. He was a member of the UTA Movin’ Mavs wheelchair basketball team. Sheryl Ann Connolly Hair (’81 BA, History), 57, Oct. 31 in Houston. Ms. Hair taught second grade at Dunn Elementary School in Arlington before serving as a counselor at Williams Elementary in Arlington. Bobby Charles Deaton (’82 MS, Geology), 78, Jan. 13 in Arlington. Dr. Deaton taught for 47 years at Texas Wesleyan University, wrote more than 60 academic papers, and was granted several patents. He was inducted into the Texas Amateur Athletic Federation Hall of Fame in 2008. Addie C. “Kitty” Farrell (’91 BA, History/Elementary Education), 63, Feb. 1 in Fort Worth. Ms. Farrell taught at Alice Ponder and Mary Jo Sheppard elementary schools in the Mansfield Independent School District. Bonnie Jean Karrer (’92 BA, ’95 MA, Spanish) 63, Jan. 7 in Bedford. Ms. Karrer retired in June 2014 as a lecturer in Spanish in the UTA Department of Modern Languages. Frances Saperstein (’07 MEd, Educational Leadership and Policy Studies), 86, Oct. 3 in Fort Worth. At 80 Ms. Saperstein was the oldest to receive a master’s degree in ELPS. She taught special education students in California and Texas. Amanda Rae Penry (’08 BS, Social Work), 31, Feb. 5 in Fort Worth. Ms. Penry was an advocate for people with disabilities and volunteered in the community, including at the Salvation Army night shelter. She was a member of Student Congress at UTA. Kimberly Louise Todd (’09 MBA, Business Administration), 31, Nov. 24 in Dallas. Ms. Todd worked at Citicorp and was a mortgage support analyst and financial accounting support worker. Karri Ann Hickman Barnett (’10 BS, Mathematics), 26, Nov. 26, 2014 in Arlington. Ms. Barnett was a math teacher in the Tomball Independent School District. David Elkouri (’12 BS, Social Work), 55, Feb. 23 in Benbrook. Mr. Elkouri worked for various 12-step recovery programs. He was in the band Blue Radio, which recorded an album in 2002. Clarence Coney “Chuck” Hall, 93, Dec. 30, 2014 in Arlington. Dr. Hall taught biology at UTA from 1962 until his retirement in 1992. Previously he taught at Samford University in Birmingham, Ala.
Ulrich O. Herrmann, 89, Jan. 14 in Arlington. Dr. Herrmann taught physics at UTA from 1961 until his retirement in 1998. He was responsible for bringing the astronomy program and the first planetarium to the University. Barbara Butler Hibbard, 91, Jan. 5 in Arlington. Ms. Hibbard worked 26 years as a departmental secretary in the College of Engineering. After retirement in 1988, she stayed active with the UTA Retirees Club, serving as president in 2000. Jerry Isler, 53, Jan. 11 in Clovis, N.M. Mr. Isler was the head women’s basketball coach at UTA from 1989 to 1992. He also coached at New Mexico high schools in Grady, Clovis, and Elida, as well as at New Mexico Junior College and McMurry University. Duane R. Martin, 81, Jan. 24 in Arlington. Dr. Martin was a UTA psychology professor from 1965-2000. He also founded the Dallas Jazz Society and co-hosted a long-running radio jazz show on KERA-FM. Cal Reimer, 83, Jan. 11 in Arlington. Mr. Reimer was a UTA assistant football coach from 1967-74. He left coaching to teach in the UTA Kinesiology Department, retiring in 1997. Prior to UTA, he worked at schools in Kansas City, Coffeyville, Peabody, and Abilene, Kan.